A new book on Janusz Korczak has been published: “May Their Lot Be Lighter: Of Janusz Korczak and His Pupil, by Olga Medvedeva-Nathoo. Medvedeva-Nathoo’s book presents the life of Leon Gluzman, who lived at Korczak’s orphanage, and who emigrated to Canada in 1930. A joint project of the Adam Mickiewicz University and JKA of Canada, it is a bilingual Polish-English edition, illustrated with archival material including photographs and postcards. As of this writing, the book is not offered for sale in the United States, though it is available at several academic libraries. It can be purchased in Canada, from the Janusz Korczak Association of Canada. For information, call board member Gina Dimant at 604-733-6386. For more information on the JKA of Canada, visit januszkorczak.ca. An Eye-Opening Graphic Shows That Too Many Children in Developing Nations Do Not Have Access to the Basic Right to an Education. This bright, beautiful girl, Megan, has an important message to share – for adults who are willing to listen. Here is clear testimony that persons with disabilities need to be recognized for their strengths, not their weaknesses. Doctor Korczak would have loved to hear what Megan had to say. Though Betty Jean Lifton has written the definitive English-language biography of Janusz Korczak in the form of her excellent The King of Children: The Life and Death of Janusz Korczak, Adir Cohen here offers an in-depth and insightful portrait of the Polish educator who devoted his life – and ultimately perished for his love of children. He thoroughly covers this beloved children’s advocate’s philosophy of life and learning, as well as how his writings and practices reflect the man, his thoughts, and his personal, ethical, and religious values. The book starts out with Dr. Korczak’s background and early childhood, both of which were formative in his declaration of his desire to change the world, first as a doctor and later as an educator. The new orphanage at 92 Krochmalna (Warsaw, Poland) is discussed, as is the life of the orphans there. Cohen also chronicles Korczak’s later years – his visits to Kibbutz Ein Harod in Palestine and the increasingly difficult life for Jews under the ominous dark clouds of the rise of Nazism – culminating with the hell that was the Warsaw Ghetto. The primary sources are How to Love a Child and The Ghetto Dairy. The second chapter explores Korczak’s religious life. Though Korczak was not a member of a temple or other religious institution, Cohen portrays him as a man with an intense religious longing an acute seeker of perfect justice and ideal moral values and behavior. He postulated that one’s perception of God is highly personal, especially as God lies within the soul of each living person, which includes every child. Jewish ritual was a very important part of life at the orphanage, but prayers were always kept in silence, allowing each child and teacher to express or her religious belief individually. The third chapter discusses his early work in children’s camps and how, though intense reflection, sought to learn from his mistakes as a new teacher. Korczak himself discussed these experiences in a separate chapter of How to Love a Child and how listening to the voice within would become central to his ways as an educator. Chapter 5 goes into internalizing the father and mother as role models in building the personality of the child. Cohen also discusses the Children’s court, with its focus on education through forgiveness rather than punishment, and the importance of communication through the children’s newspapers and bulletin board, as detailed in How to Love a Child. This theme is explored further in Chapter 10. Also central to Korczak’s philosophy was that one should not preach but, rather, express a generous (and forgiving) attitude, that corporal punishment in any of its manifestations is wrong, and that learning right from wrong is more important than any academic matter. In short, children must be viewed as persons worthy of respect who should be accorded full human rights. In Chapter 6, Cohen discusses the importance Korczak placed on child’s play as a moment that belonged entirely to the child, a time in which he or she could realize childhood dreams, especially those they were not sure adults were willing to take seriously. 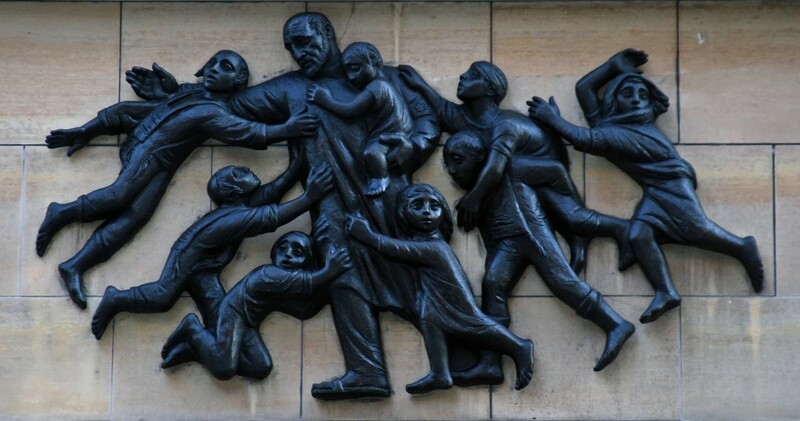 How Korczak incorporated his background in medicine in his teaching is the topic of Chapter 7, mainly in that he did his best to educate the child but realized he had little control in the child’s ultimate outcome beyond the positive moral values he sought to instill. He went on to show how “to do no harm,” or “to touch without burdening” in Chapter 8. The educator is obliged to know the secret of giving, the secret of surrender, the secret of devotion. Moreover, the educator must learn from his mistakes and extend that privilege to his students. Korczak was very much a progressive educator, in the manner of John Dewey, whereby children are encouraged to learn from experience and free activity rather than being handed orders from above; here Chapter 9 is in a way an extension of Chapter 7, in that children are encouraged to take advantage of life’s opportunities now rather than prepare for some nebulous future. Moreover, children should be encourage to explore and search for new learning rather than rely on material handed down. In addition, Cohen reports that Korczak warned against following a single school of thought in teaching, something that corresponds to his warning not to rely on books – especially a single book – on child rearing. The remainder of the book explores Korczak’s writings. The Drawing Room Kid exposes the hypocrisy and decadence of the Polish bourgeoisie, especially in their attitudes toward the poor. Published in 1925, When I Shall Be Little Again, is Korczak’s description how he is able to relate to children on their terms, first imagining himself being little among the adults in his life and then himself as the adult and his peers as children, a feat of literary philosophy that has never been replicated with the skill that Korczak has shown. 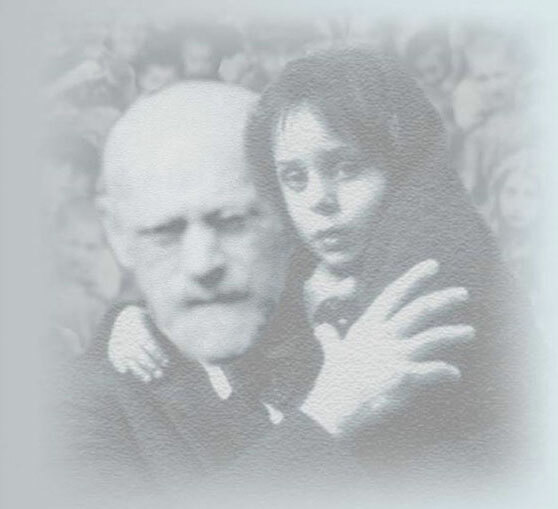 Korczak also devoted special attention to the relationships among the children, both their compassion and their malice (and how the two polar opposites could seemingly coexist). He has succeeded in showing both how adults view children and how children view adults. In The Senate of Madmen, Korczak explores insanity in multiple manifestations, including his autobiographical memory of his own father, who died in an institution. Cohen quotes other authors’ commentary on how this work is also a metaphor for the madness of institutions in society. Cohen’s chapter on the Ghetto Diary is surprisingly short, but it does a good job in exploring Korczak’s attempt to find meaning in the face of death – what it will mean to him, his orphans, the Jewish people, and humanity overall. This remarkable short book is deep on reflection, almost an abbreviated autobiography. Finally, Cohen explores Korczak’s two-part masterpiece of children’s fairy tale fiction, King Matt and , how these remarkable books have enchanted children and adults who can empathize with children for decades. Unlike most fairy tales, there is no happy ending, except for hope; perhaps that is where happiness ultimately lies. That was certainly true of Korczak himself, as Adir Cohen’s superb study so aptly shows.